WHAT ARE THE ADVANTAGES OF THE HOSPITALITY ECOSYSTEM TRAINING PROGRAM SIGNED EHG FOR OUR STUDENTS? 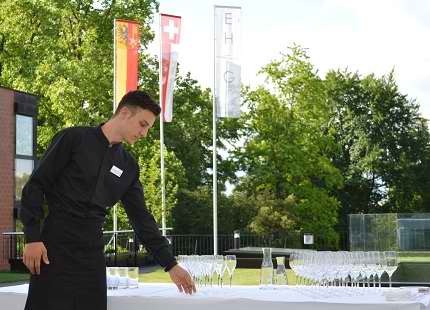 The ecosystem training program set up by the Hotel Management School offers students exceptional professional experience and immediately acquaints them with the Hotel Management School of Geneva motto “Excellence in the service of a profession”. 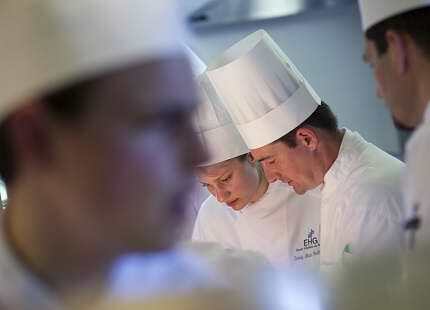 Through the Ecosystem Signed EHG training program, students are immediately given work experience and exposed to the challenges of their future profession, under the supervision of their teachers and professionals, via 3 initiation restaurants, a catering service and the only initiation hotel in Switzerland, the Starling Residence Geneva. For a dining experience that’s unlike any other, we recommend you visit one of our restaurants for a day of culinary bliss. We are proud to be the home of some of the most remarkable restaurants in Geneva, the gourmet restaurant Vieux-Bois and restaurant l’Auberge in Chambesy, where our skilled chefs deliver delicious Swiss Local and modern-European cuisines. Come and savour great food in our restaurants, that are incredibly sophisticated and stylish. We are confident that you will receive an unforgettable dining experience. In a convivial atmosphere, Chef Adrien Imesch, a graduate of the EHG, highlights local products for a decidedly Genevan cuisine. The gourmet restaurant Vieux-Bois is a favourite destination of gourmets who appreciate a genuine menu that changes every 6 weeks and an efficient banqueting service. Discover our tearoom at the Ariana Museum. 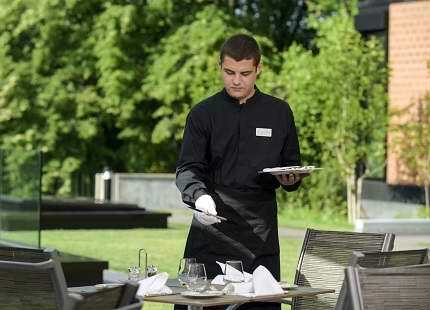 Our catering service will do everything possible to make your event a success with your guests.